Remee for $65 with free USA shipping. Happy dreaming! Dreams are one of the most universal and inspiring aspects of the human experience, and yet we spend little time discussing their impact on our daily lives. In the past, dreams were treated as windows into our subconscious, offering valuable guidance and insight. Modern research has since confirmed that dreams can lead to better moods, reduced stress, enhanced problem solving skills, and increased creativity. Yet somehow dreaming is still treated as an afterthought when discussing our overall well-being. We created Remee to reintroduce people to the benefits of dreaming. Using gentle, customizable light signals, Remee not only increases dream recall and vividness, but helps unlock the world of lucid dreaming. Read on to find out how. Dreams are one of the most universal and inspiring aspects of the human experience, and yet we spend little time discussing their impact on our lives. In the past, dreams were treated as windows into our subconscious, providing guidance and insight. Modern research has since confirmed that dreams can lead to better moods, relieved stress, enhanced problem solving skills, and increased creativity. Yet somehow dreaming is treated as an afterthought when discussing our overall well-being. We created Remee to reintroduce people to the benefits of dreaming. Using gentle, customizable light signals, Remee not only increases dream recall and vividness, but sets the stage for lucid dreaming. Read on to find out how. Your subconscious is excellent at creating detailed images and compelling narrative, but it's bad at committing these to memory. That's why, even though we typically dream for two hours each night, we can usually only remember bits and pieces of the dream we were having just before waking. That's two hours worth of creative thoughts, insights, and adventures that you experienced but won't even remember, much less benefit from. 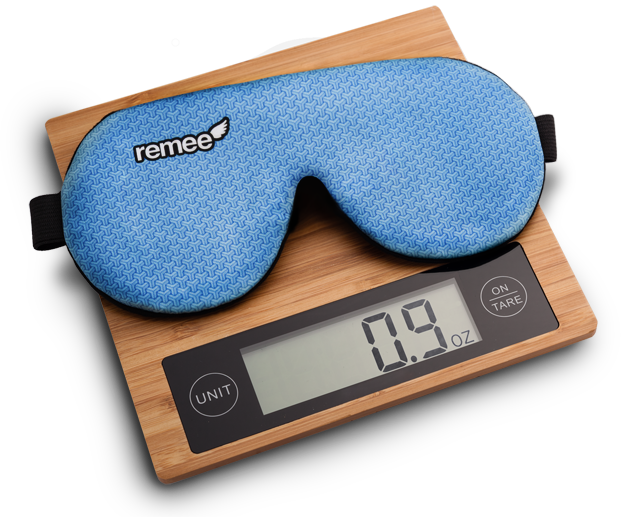 Remee's light signals promote better dream recall by seamlessly introducing tiny gaps of consciousness that link the dreaming mind, which has trouble creating new memories, to a more wakeful state that can . These same gaps allow you to carry some of that mindful, waking consciousness with you as you re-enter your still in-progress dream. Your mind will be more prepared to notice (and create) new details, and as an added bonus, when your next recall gap occurs there will be that much more in-depth detail to commit to memory. In this way the two features complement each other well. If dreams are a well-spring of ingenuity, understanding, and new experiences, then we owe it to ourselves to make them as rich and animated as we can, and sharpening the overall level of detail is an excellent way to do so. When you experience any level of conscious awareness in a dream, you have already started down the path to lucidity. Understanding that you're dreaming without waking up is exhilarating, entertaining, and beneficial. Simply knowing that you're inside of a dream is only the beginning; with practice comes greater control. Experienced lucid dreamers have been honing this skill for thousands of years to reap a range of benefits from the recreational (flying, exploring) to the practical (problem solving, brainstorming) to the profound (self actualization). If your goal is lucidity, Remee can help you get there. Remee's rear-facing LEDs serve as your touchstone to the waking world. Using a series of smart timers, light patterns are displayed throughout the night, targeting your REM cycles where dreams most often occur. The patterns can be as gentle or as jarring, as bright or as dim, and as fast or slow as you like. The more time you've spent tuning your light patterns the better success you'll have improving recall & clarity, and the closer you'll be to lucidity! 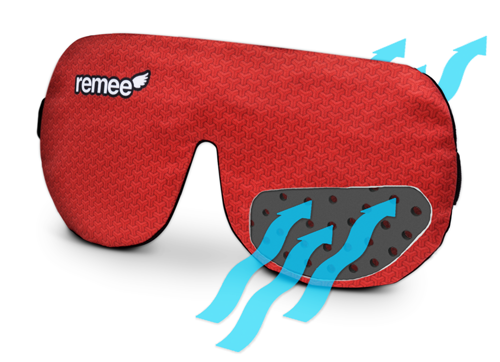 We listened closely to customer feedback to improve every aspect of the sleeping experience with Remee. The flexible circuit is protected by a 2-ply foam shell: a durable inner layer laminated with a cushioning soft foam outer layer. The foam inserts are aerated to allow for better airflow, reducing heat and sweat. The head strap is lighter and softer, with stronger materials. The nose cutout has been raised to help Remee sit more firmly against your face. In short, we made the best sleeping mask in the world that much better! 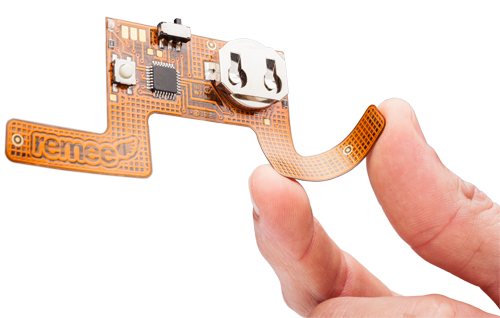 Remee's brain is a durable but razor-thin flexible circuit that can be bent to the shape of your head without being damaged. Weighing less than a quarter ounce and powered by a tiny coin cell battery, the electronics are barely noticeably inside Remee's comfortable shell. Rather than adding bulky USB ports or wireless chips, Remee receives new settings via two pinhead-sized light sensors at the corners of the circuit. people are sleeping right now. people are dreaming right now. people are underslept & need a nap. seconds you spent dreaming last year. We all sleep differently, which is why Remee was designed with options in mind. Using our online tool, you can personalize your dream signal to create a combination of patterns, timings, and brightness that is unique to your sleep style. The idea is to design a signal that is bright and intense enough to manifest in your dreams, but not so much that Remee wakes you up. This will be different for everyone. Simply go to our website, dial up your personal settings, and then hold Remee up to the screen. Remee will translate the series of alternating flashes into your new settings. Click here to see it in action! Fast free shipping in the US! Controlling what happens in your dreams? Anyone can do it. Everyone should try. "...Could make Inception look like more than just a movie." "[Puts]...lucid dreamers behind their dreams’ steering wheel." "...The possibilities include anything you could dream of." "...a visual reminder to a dreamer who hopes to gain control." Great! We can send you (reasonably spaced out) newsletters. They'll mainly consist of letting you know what we're up to, news in the world of sleep and dreams, and any coupons or promos we're running. We'll never sell, barter, or give away your personal info to anyone, ever, and you can unsubscribe easily at any time. Promise.